A bit of history about the Motobecane trial machines. The French Motobecane Trials Machine. There have been several glimpses of this trial machine on this side of the water, but we have never taken that much of notice apart from the odd look at a trial if one was competing. So I thought that It was time to try and find out more about these machines. Photo Credit Lee Prescott. 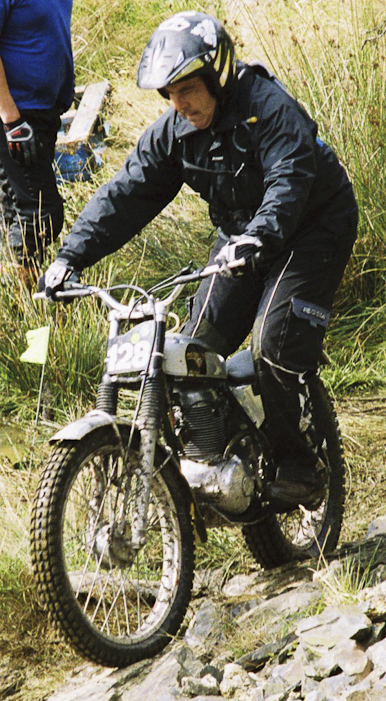 Taken at the 2007 Manx Classic Trial. Apparently most of the trials machines were built up not that long ago but we will get back to that in a while. First a bit about the machines origin. Firstly the name. Moto Becane. which simply translated means Motor Cycle. in French, Moto being Motorcycle Becane slang for Bike. Eventually the factory and the motorcycle production were taken over by the Yamaha organisation and re named. MBK in 1984 these are still selling scooters today. 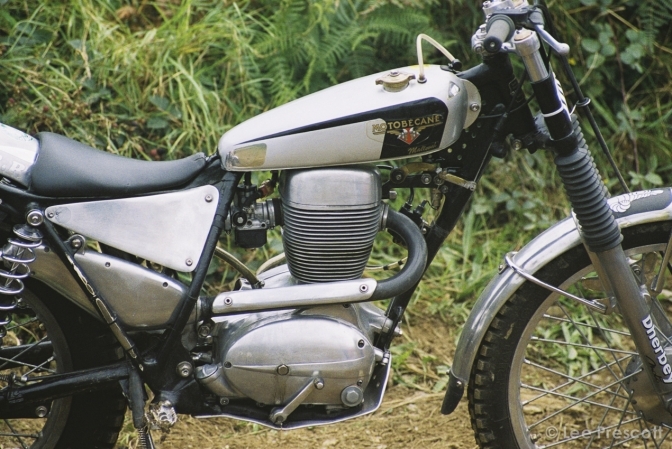 The Motobecane factory in the early sixties were thinking along the lines of producing a 165 cc four-stroke trials machine based on the Z56-7 model that dated from 1956-7 and had made most of the parts to manufacture the machine. Then just has history does, a new law was passed in France to although 125cc motorcycles to be ridden without a licence, this threw the industry,into turmoil. 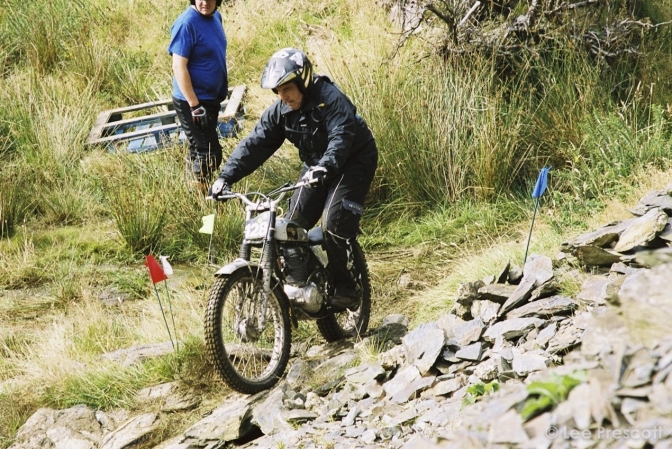 and the concentration of machines that came into this category came first,so the 165cc trials bike was sidelined. so could be purchased for individuals to convert there own bikes into a trials model. 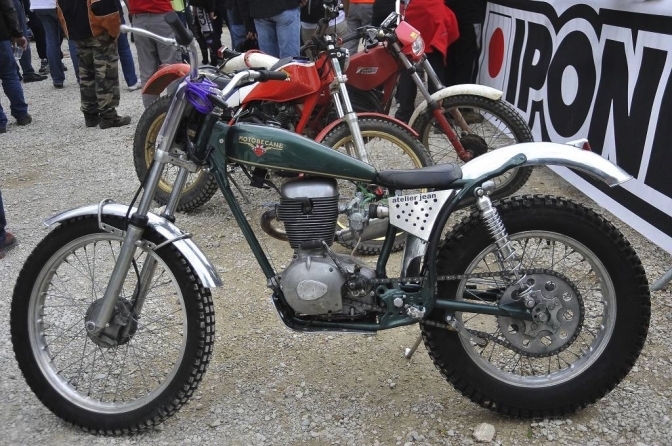 Only the French and Belgium trials riders would know how many of these machines were converted. This Photo Credit Justyn Norek Snr. Right back to the later years and the Motobecane Four-stroke trials motorcycles that we se competing today. Most of these machines seem to have been put together by Stuart Brown of BPS Engineering in France. Bruno Gilbert a trials rider of some ability from Monpellier was commissioned to make and or convert the frames and cycle parts while Stuart converted and rebuilt the engine units some being bored out to as much as 260cc so I am told. 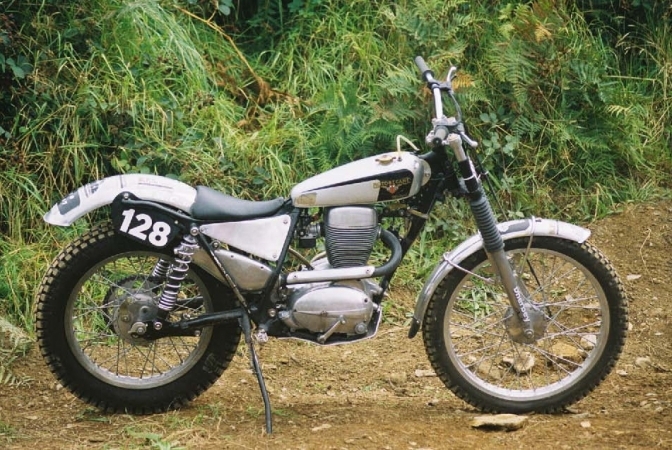 What they all have turned out to be are really respected four-stroke Classic Trials Machines. Just taking a look at this engine shot, you can see how workmanlike the engine gearbox unit is. And not that dissimilar to the BSA C15 B40 unit, except this little motor has the advantage of carrying the engine oil within the castings of the engine. The atelier Jean machine seems to retain the more traditional frame and a lot like most of the European frames that are in the same vogue for this Classic Period especially the bikes put together in Italy. I must say with this shot how neat the little machine looks, and I remember the sound of the motor from 2007 and how well it worked without hesitation. All the machines built by Stuart Brown and Bruno Gilbert seem to use the same small Italian styled hubs and the front forks seem to be of the same manufacture. Photo Credit Lee Prescott again. Also what I feel is a very well put together period machine, without many parts that you would describe as "Bling"
So this is only a start for this page and we hope that there will be a lot more information about the machines shortly. They may well even still build the machines to order still has they did a few years ago. I said that these bikes had a distinctive sound just Check this out.